Meg grew up on Nantucket, graduated from Chatham College, then worked in college admissions in Pennsylvania and Maryland, earning her MBA at Hood College, before becoming Admissions Director at Emmanuel College in Boston. Transferring her experience in academe to the for-profit sector, Meg then worked as a Project Manager at Investors Bank and Trust (now part of State Street Bank) for over four years. 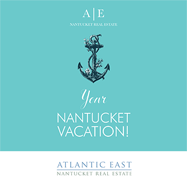 In 2003 Meg returned to Nantucket and channeled her MBA training and extensive management experience into her professional duties as a broker at a highly respected island real estate agency. Meg is a member of the Cape and Islands Board of Realtors and the National Association of Realtors; she is an ABR-Accredited Buyer’s Representative and a certified Resort and Second-Home Property Specialist (RSPS). Meg served on the board of the Nantucket Education Trust, and was co-founder of the Parent Network at Small Friends on Nantucket. She also co-wrote and oversaw the publication of the very popular “What to do With Kids in Nantucket.” Meg currently volunteers for the Nantucket Light House School and is a Founding Board Member of the non-profit Musack.org. For fun she loves spinning classes, working out, knitting, and most recently learned to play ukulele.